Porsche has been very quiet about the solenoid used on their starters and they refuse to sell just a solenoid, preferring to sell a complete starter. I suspect the solenoids can be bought outside of Porsche and I set out recently to do just that. I did NOT find an exact match but did find one that works. Below are some comparison photos. 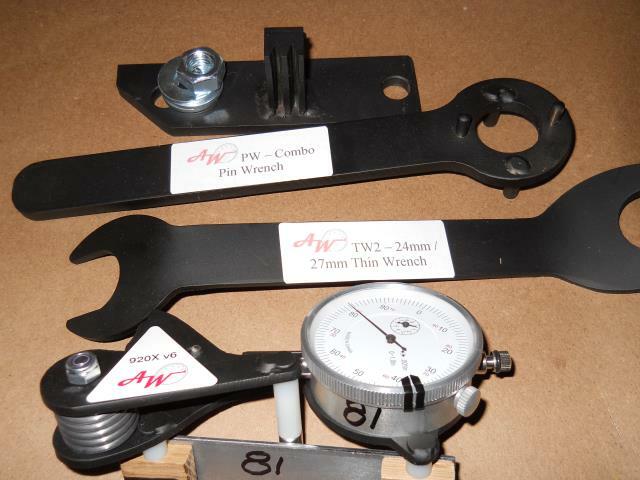 The only difference is that the new one has a spade lug instead of a threaded post for attaching the "start" wire. I bought this solenoid for about $50 from Parts America, it came in box marked by GP Sorensen with part number 28-5020. I've lost my receipt on this item but I believe it said it was for a 1980 VW Rabbit. Note the wiring, this is the correct orientation. One side note: rebuilt starters do not always come with a new solenoid. There are two basic starter bodies found on 944s. Some say they work equally well, for the turbo models, the small body is preferred. It is less likely to absorb heat and so less likely to fail. The big body starter can be made to fit even on the turbo but will require that the heat shields be discarded. 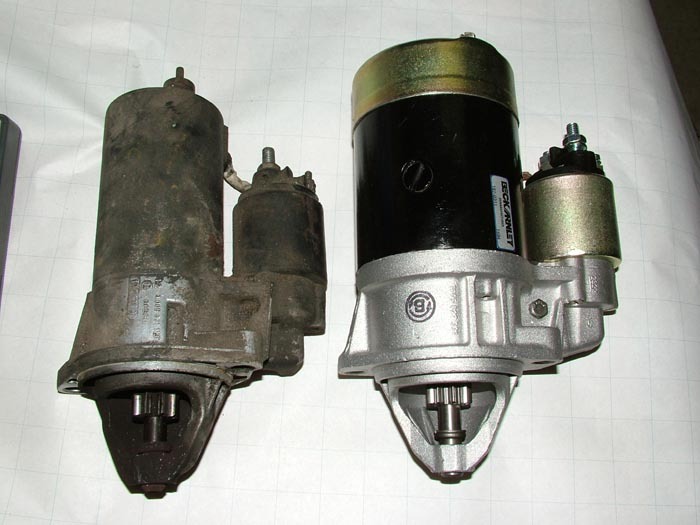 One downside to the small body starter is that it is associated with cold weather starting problems on some cars. I've witnessed this on one of my 87 turbos. Under certain circumstances, during starting, the starter will balk as though the ignition has fired well ahead of TDC. I believe that is exactly what is happening too. The small body starter creates a large electromagnetic field that can be falsely sensed by the reference sensor, which triggers a spark. 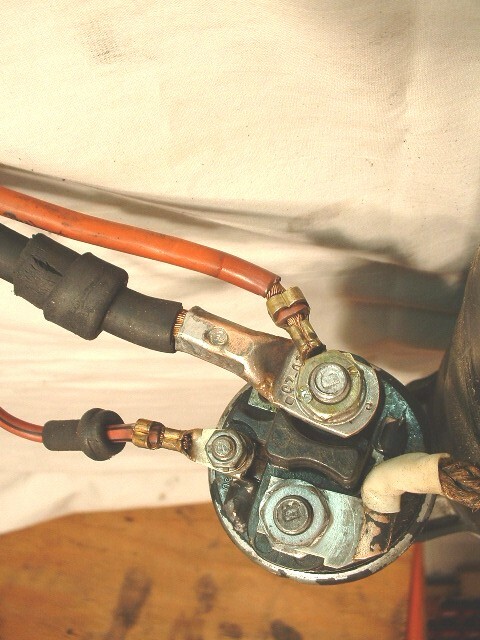 This spark comes too early and causes one of the cylinders to fire early - effectively backing up the engine. This problem was finally traced to a deteriorating harness to reference sensor connector. In my case the shield wire for had separated within the connector and allowed the reference sensor to act as an antenna. The starter's magnetic induction field was being picked up by the sensor and interpretted as reference pulse by the DME. Here are some strange pics that I stumbled onto on the internet. I'm not sure these are really both Porsche starters. Some report too that there are starters that can be found that are wired for reverse operation. Every now and then one of them turns up.